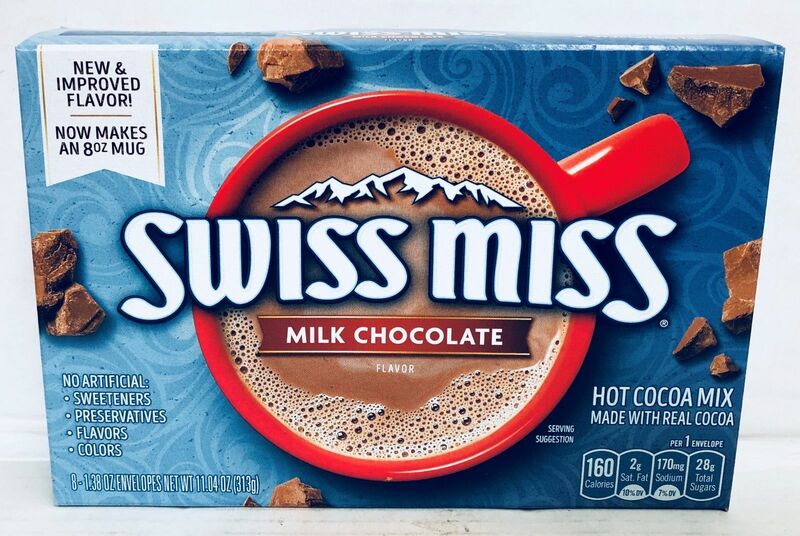 10 envelope selection box of Swiss Miss Hot Cocoa Mix. Sugar, Modified Whey, Corn Syrup, Cocoa (Processed with Alkali), Partially Hydrogenated Soybean Oil, Marshmallows (Sugar, Corn Syrup, Modified Corn Starch, Gelatin, Artificial Flavor), Nonfat Dry Milk, Less than 2% of Salt, Dipotassium Phosphate, Carrageenan, Artificial Flavor. 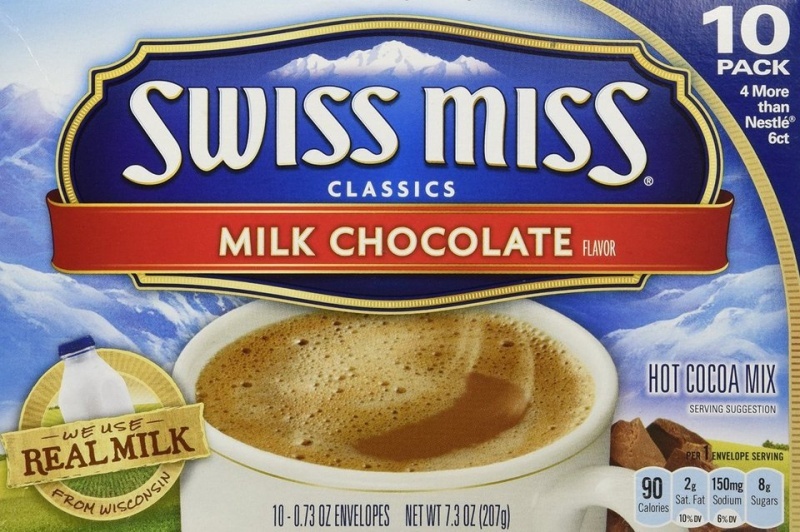 Never liked drinking chocolate untill I tried one of my wife's Swiss Miss, now I have one every night before bed. Yummy. Can't fault the service we get from the American food store, keep it up.